Marietta Lawyer Marketing Firm, ADS Marketing Group is more than an internet web design firm, we are your full-service lawyer marketing agency. We handle branding, rebranding, internet marketing, commercials and video marketing, print advertisements, direct mail, business cards, envelopes, letterhead, community outreach, and seminars. You will find many companies that will handle a part of what we due but no one as focused on your business than lawyer marketing experts, ADS Marketing Group. Initial 45 Minute Meeting: This meeting introduces us to one another and allows us to review your brand image, collateral materials, organic internet position, any internet, television, or print advertising, and community networking efforts. We also will gain an understanding on where you want to go and the audience you are trying to attract. Free Proposal: We will present you with a marketing proposal for your law firm, detailing what we can do for you and the cost for our services. Marketing Acceptance: Once our proposal has been accepted, we will develop a marketing strategy for your law firm. Marketing Plan Execution: We will begin the process of introducing your law firm to your target audience. Marketing Review for ROI: We will continually work with your law firm to review our marketing efforts and detail the ROI on your marketing investment. 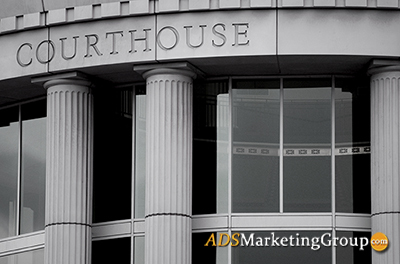 To learn more about ADS Marketing Group’s Lawyer Marketing services, please contact us at 770-475-9187 for a FREE 45-Minute Marketing Meeting and Brand Evaluation.